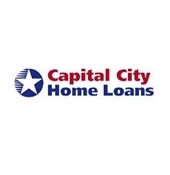 Finance your dream home in Fredericksburg Area Imagine buying your dream home. Connect with a lender to help you make it happen. Life is complex; your loan doesn’t have to be. I am here to provide you with loan solutions that fit your mortgage needs! The loan process may seem complex but I will help guide you from start to finish. I am committed to fast, professional, courteous and personal service so you understand the home buying process. I am devoted to finding the right loan program that works best for you. BrandMortgage is very competitive and prepared to provide you with excellent service that you not only expect but deserve. Please do not submit any confidential information. This will be shared with both BrandMortgage and RE/MAX Cornerstone Realty. Let me know how I can assist you with your Fredericksburg Area mortgage needs. I am here to help!